This pair of blue ammunition pouches were for use by the RAF during WW2. 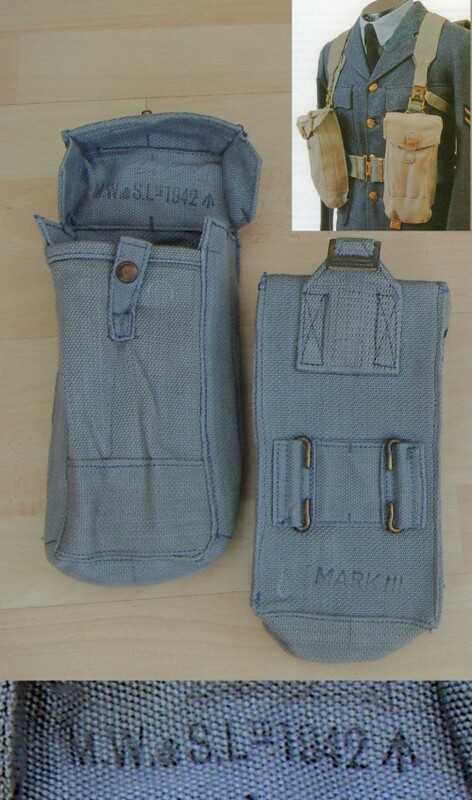 Please note that the top right photograph, indicating how the ammunition pouches were worn, is Copyright. M.Brayley. "British Web Equipment of the Two World Wars". Thank you to Martin for his kind permission to use the illustration.